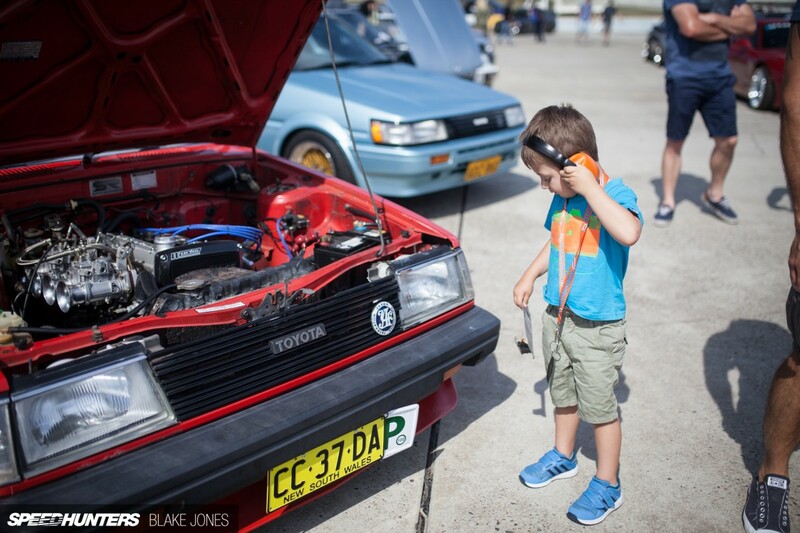 Being a young car enthusiast can be tough – especially in Australia. You want something fun to drive, reliable and good looking. It has to be quick, but not too quick (or the local authorities won’t allow you to drive it). You want it to have a strong aftermarket and there to be plenty spares available for when you run it into a fence trying to drift. And all that without costing an arm and a leg. 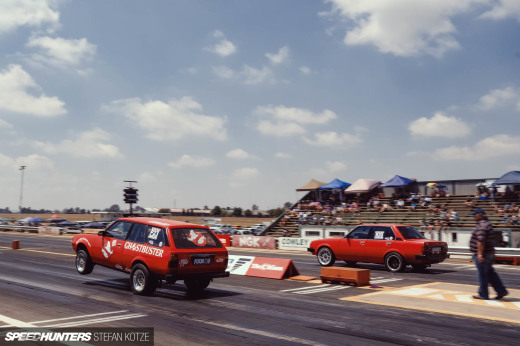 The little E70 series Toyota Corolla ticks all these boxes, and for this reason has become a favourite of first-time drivers looking to try their hand at modification and maybe even a little sideways action. For many years, the E70 went unnoticed and unloved, haunting the local Trading Post or wreckers yard just like any other mass-produced economy car. 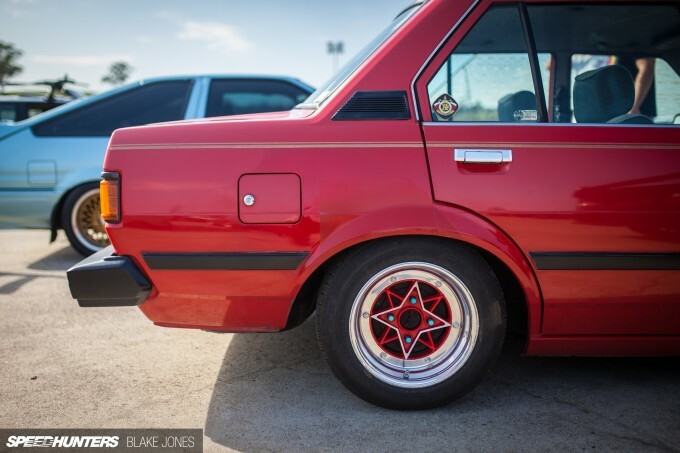 But don’t forget, this little Corolla has a rear-wheel drive chassis that shares plenty in common with the AE86, and before long budget-conscious enthusiasts began to snap them up. I found this neatly finished example at the Yokohama World Time Attack Challenge Show ‘n’ Shine, and although it was much more subtle than most cars on display, I couldn’t resist sharing it with you. In my mind, it’s the perfect first car. For our non-Australian readers, that P-plate next to the licence plate signifies that this is a new driver (on a provisional licence) and therefore is subject to a whole lot of restrictions relating to modifications, passengers, speed and so on. 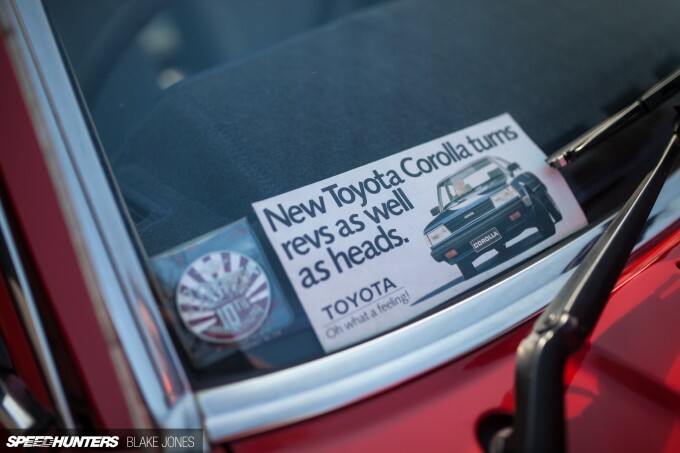 Up front, the owner has ditched the standard 8-valve OHC engine for the venerable 4A-GE from the AE86; the free-revving 16-valve DOHC engine is a nice match for this lightweight RWD Corolla. This engine swap is as stress-free as they come too, because the stock crossmember and gearbox bolt straight up. Perfect for a budding backyard mechanic, and unlikely to cause any problems with the constabulary. The owner has also replaced the 4A-GE’s stock TVIS fuel injection system with an old school Solex twin sidedraft carburettor setup. Oh, to hear that sweet sweet sound of carby inhalation! 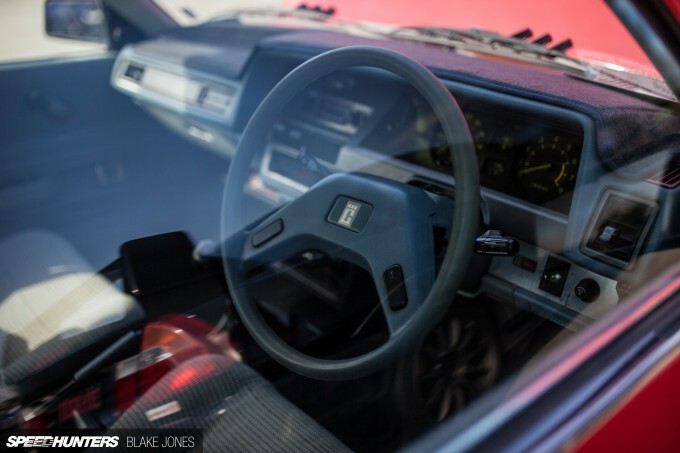 As is usually the case at car shows, the windows were up which made it tough to get a good shot of the Corolla’s interior. Still, you can make out the stock dash, seats and even steering wheel, which was a welcome surprise. Why mess with the ’80s perfection of the stock body when it looks so good already? A set of SSR Star Sharks have been tucked beneath the guards, but otherwise the brilliant red and gold pinstriped bodywork remains untouched. Clean examples of the E70 Corolla are getting harder and harder to find as they continue to be pried from grannies’ hands by eager grandsons. Builds like this one make me wonder if the E70 might soon become collectible and shift out of reach of young car enthusiasts. That would be a damn shame. The good ones never come along at the right time for me. Maybe one day. They've mostly been drifted to death since 86s got too expensive, especially in Ireland. Brutal! Blake, try a rotating polarising filter to remove the window reflections - might help. Love your approach on the subject car too. oneslyfox doo-doo brown had me chuckling for a bit. Not for everyone, that's like saying an automatic trans is more fun. Easier to use, faster, more efficient but nothing beats a perfect gear change or a carb set up. Simplicity, looks and cost. 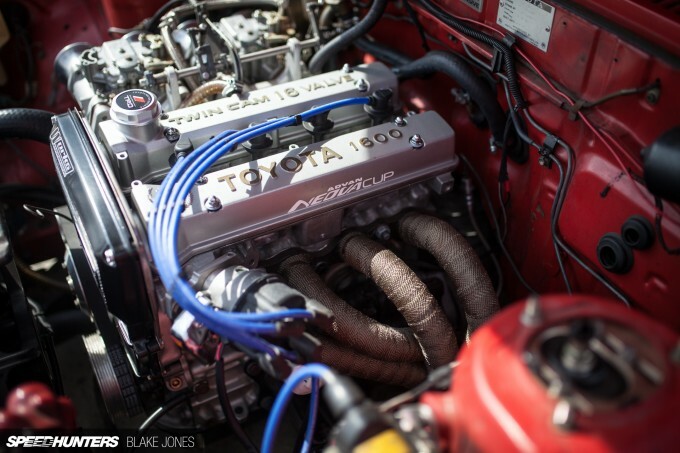 No need to set up an ecu also induction noise from carbs sounds awesome. "Builds like this one make me wonder if the E70 might soon become collectible and shift out of reach of young car enthusiasts." Sadly that is the way with almost every older car in this country these days. 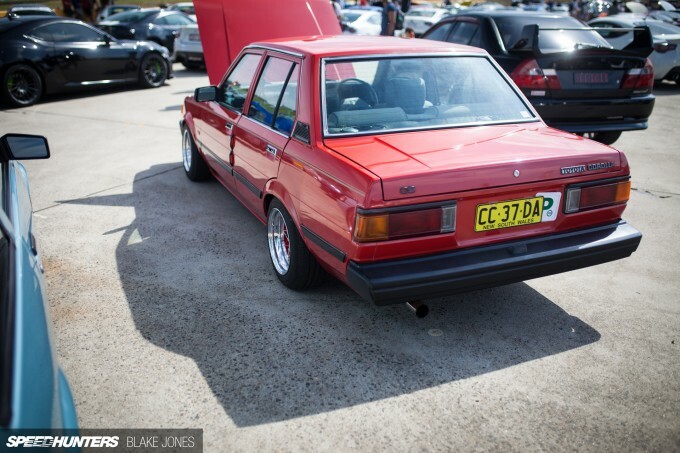 Is an engine swap P plate legal? Spaghetti I think engine swaps are legal for P plates as long as they dont have a turbo or are a V8. It has to be engineered though. This was my first car! 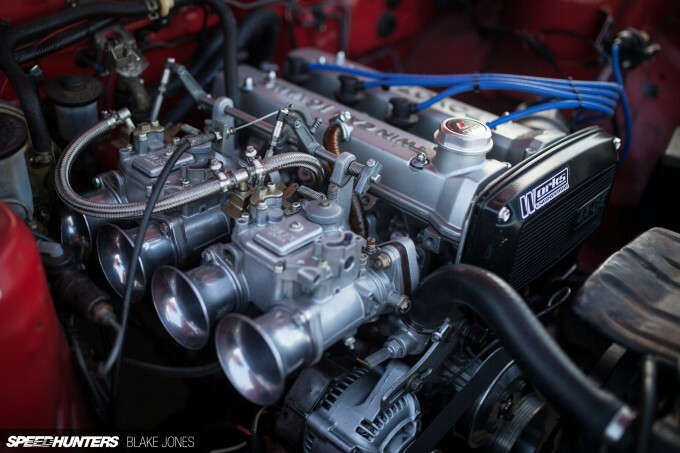 even the SOHC has some zip in it. I did my first doughnuts in a gravel parking lot with it. First mod- Wider tires your life depends on it! I still have the scars to prove it. 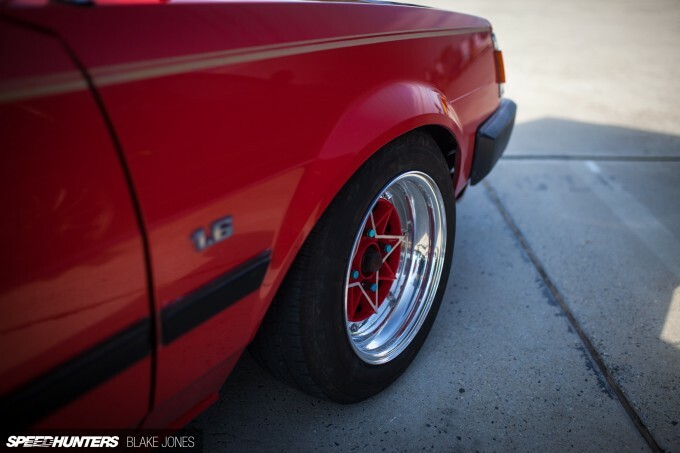 Man I love this style of corollas they are just so awesome. I recently just purchased an 82' wagon and have plans for an f20 swap in a year. These cars are super underrated which is nice because as hard as they are to find it helps not having initial d tax on it like the ae86 does. awesomefearwave A4999 the visceral experience. Ever ridden an old Japanese bike with 4 carbs in cool air hearing that beautiful sound on and off throttle. I just ditched my EFI for a pair of Mikuni Solex 44PHH and I love the sound and messing with the carbs. I like being a little more involved and the carbs are just the ticket for me. I have an SR86 as well but I'm more excited about my carb'd 4AGE. I guess it's one of those things that just can't be explained but should experience it and then make your judgements. econti Spaghetti Needs to be engineered regardless, and can't run a newer engine legally on older emmisions components (IE EFI to carbs). Also most states in Aus you aren't allowed to modify for more power at all while on your p's. James86 econti Spaghetti so on the whole, as a P plater, no this is not legal, and if pulled over, he will get fisted with a defect, for several things. also this is an AE71, which gives it the matching trans and engine crossmember. Not all *E7*'s are ohc, such as the KE70, and that model has different crossmembers. On a side note, these have already reached stupid money, if your lucky you can find cheap examples around, but generally they have almost tripled in value, so they very much do already have a drift/takumi tax on them. Loving those vents on the C pillar. Absolutely useless but cool. Not totally, these usually depressurise the cabin when a door is slammed - it's why you often see a C-pillar vent on older cars. The cabin vents on more modern cars with integrated bumpers often lurk behind the bumper shells. I was lucky enough to see this thing in person on the Sunday. Absolutely MINT! One of my personal favourites from the show n shine. I think they are too mass produced to become Collectable.. Even KE20's are not worth huge dollars..